Moultrie Middle School Principal Ryan Cumback says one of the many reasons his school is an amazing place to learn and work is the kind-hearted nature of the students. “It seems like every other day a group of students is asking for permission to raise money for a good cause and because our staff understands the importance of leading by example, we have decided to change the focus of this year’s Patriots’ Promise fundraising campaign,” says Cumback. Moultrie leaders are still asking for support for important PTO projects, for example, addressing playground needs as the school expands and making sure all students have school supplies, clothing, and other basic necessities. But they also want to reach outward and show compassion to students in the Pee Dee region who are coping with the aftermath of Hurricane Florence as well as several projects for local middle schools. 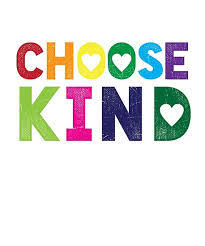 A fundraising letter recently went home to school families introducing this year’s “Choose Kind” theme at the school, while outlining three giving options that the greater community is invited to contribute to as well. Choose Others: Moultrie students have a wonderful environment in which to learn. To help the displaced students in the Pee Dee who are coping with Hurricane Florence and to brighten the day of others at Moultrie and in the Charleston County School District, Moultrie families will buy water filtration systems and basic school supplies for those in need. Goal: $15,000. Choose Health: As Moultrie’s building footprint expands into the current playground space, the school will need to reset and upfit its playground with fun and popular equipment, a covered area for hot days, a four-square court for friendly competition, and tether ball to challenge students’ skills. Goal: $10,000. Choose Moultrie: As students at Moultrie need warm, clean or larger uniforms, school supplies, or a little extra support, the school’s Patriot’s Promise is to make sure every student at Moultrie has what they need to focus their energy on learning. Goal: No limit! Payments for any or all of the tax deductible promises can be made online through Moultrie.CCSDSchools.com, hand delivered to the Moultrie Middle School front desk or mailed to Patriots’ Promise, 645 Coleman Boulevard, Mount Pleasant, SC 29464.